The re are times, such as while I’m working EMS, when I’m not able to make a whip, but I could be working on something smaller. 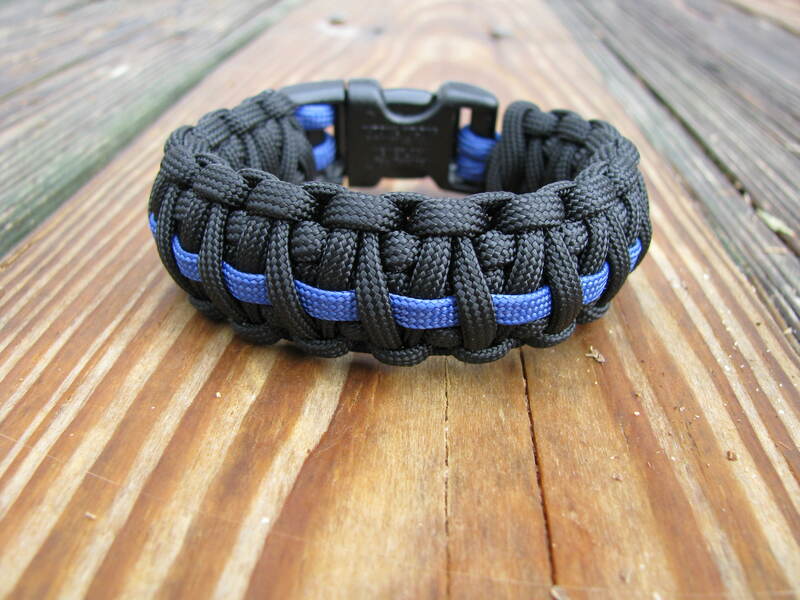 For several weeks I’ve had people asking me if I can make them nylon bracelet like they’ve seen on the Survival Straps website. I’m happy to announce that the Kelley family now offers similar bracelets that are a bit better priced. 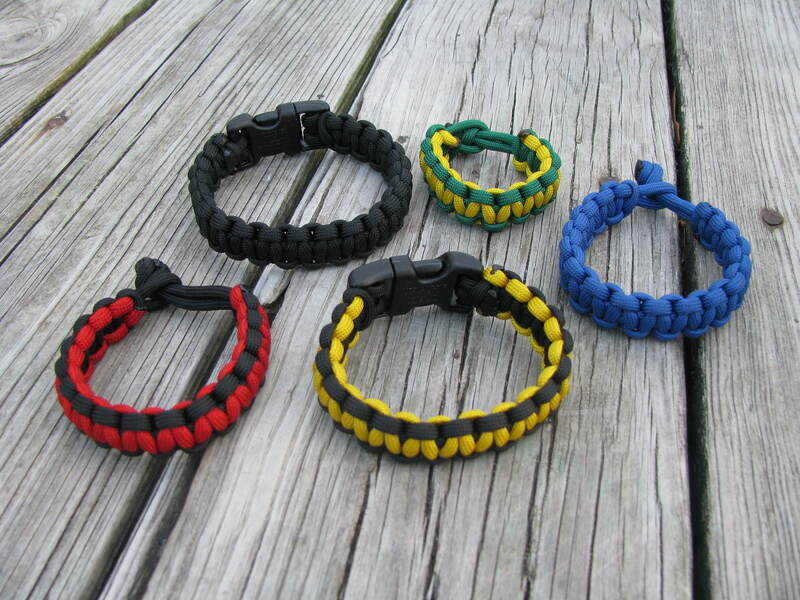 We make can make them with tough plastic clasps or with a loop and button knot in sizes to fit babies or grown-up s.
We make these bracelet in two widths: 1 inch and 5/8 of an inch. In the photo here, you can see the difference between the 1″ thick and 5/8″ thick bracelets. 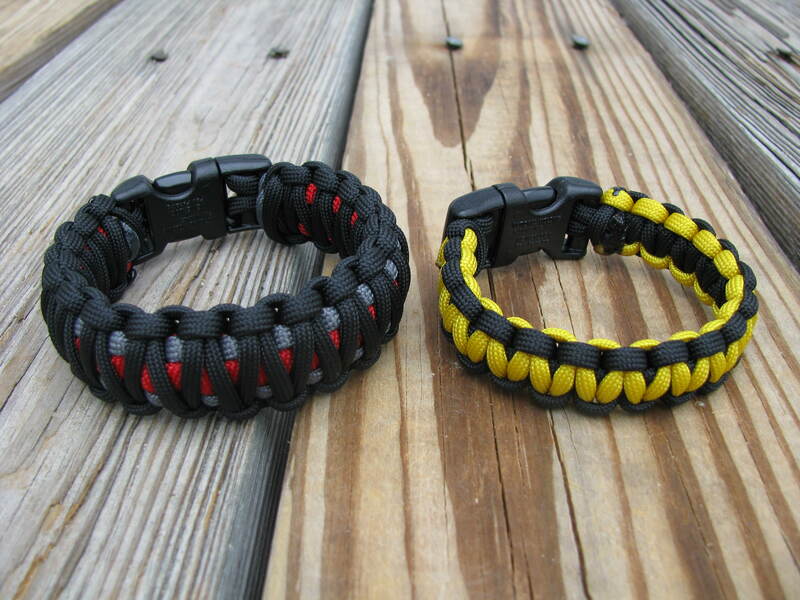 The larger bracelets have around 15ft of paracord that you can unravel and deploy in emergencies when you need some cord. Depending on size, colors, and attachment options, our prices are $15.00 to $20.00 per bracelet (including postage in the USA). Bracelets are made by either myself or my son or daughter. This entry was posted on Saturday, November 27th, 2010 at 1:33 pm	and posted in bracelets, survival. You can follow any responses to this entry through the RSS 2.0 feed. I am interested in your bracelets and i am curious if you include instructions to re-weave in case after use in a survival sit, it is reusable ?